How can I manage my property users? HOME > SETUP AREA > How can I manage my property users? How can I change my own user's password? STEP 1: Go to Setup > Administration > Users. 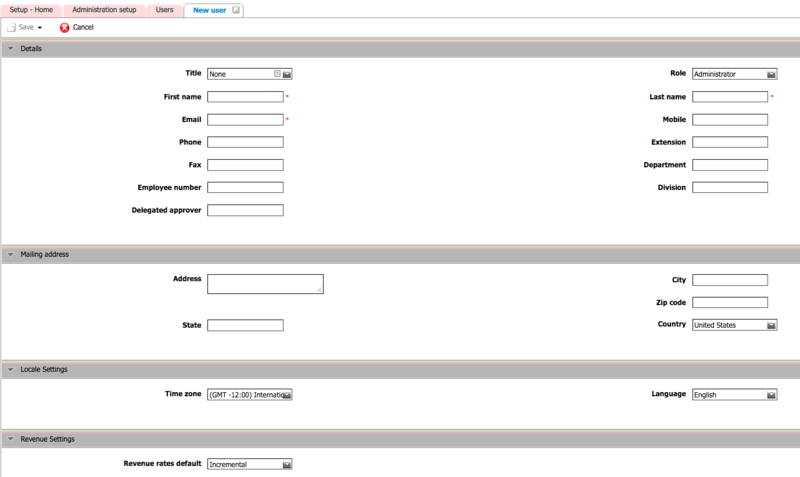 STEP 2: Click in New User and fill all the fields. Please note that the fields with * in red are mandatory. Here the most important fields are "First name", "Last name", "Role" and "Language". The role will restrict specific areas for the user to access. To help you setup roles for the hotels, please click here. The language selected will define the language of the backend. To help you setup the backend language, please click here. STEP 3: After filling the fields, click in the button and the New User will be created. STEP 4: This new user will receive an email with his own access with an automatically generated password that will have to change in his first access to the backend. Click twice on the User you want to access. Then click Delete. After confirming the operation, the User is deleted and loses his access to backend. Click twice on the User you want to access. Then click Deactivate. After confirming the operation, the User is deactivated and looses access to backend. This tool is very useful for clients with multiple properties, that have several different accounts and do not want to create a new email for each one of their users. With this tool, you have to create new users using emails with the ‘+’ sign, that will work like a secondary email linked to a main account ( an alias ), and all the emails addressed to it will be received in that email main account. Before the ‘@’, insert ‘+’ and the name/number that you want for the new user and save it. All the areas on the application that requires an email can now use these type of emails (Email templates, Email notifications, Contacts and so one). Regarding guests, they can also use these emails when booking reservations, only contact forms do not support it.